Through audits, workshops and interviews we'll define your AS IS situation and bring to life your ideal TO BE situation. In all your cloud migration needs, OnTheSpot has got you covered. Migrating from your on-prem physical environment to a cloud environment can be a challenging adventure. This is why OnTheSpot offers a lift and shift service, so you don’t have to. Peace of mind knowing a Service Level Agreement (SLA) is in place. The cloud architects of OnTheSpot will migrate your data on the right managed services of the right cloud provider, based on a thorough intake proces. Your current architecture will be mapped and refactored in its entirety so that it can use the cloud managed services to the fullest extent. All according to the laws of the twelve factor app. Based on your needs, we'll draw out your current and desired architecture so you can retain your future competitive edge. Depending on your (never ending) maturity level, we can offer you different levels of services. Come have a chat. We can offer a simple coaching role for your upcoming cloud-native development team to get you on the right track. 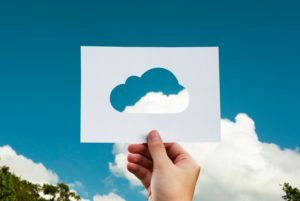 Thanks to our unique structure at ToThePoint Group we can deliver a whole array of cloud-native developers. Whether you need a quick boost in development or you need an entire squad as a service, we’ve got you covered. Bring your cloud infrastructure to the next level with the help of our Cloud engineers. OnTheSpot can guide your organisation’s IT infrastructure into the cloud. In fact, we’ll always consider this when we’re providing services so whenever you feel like switching from on-premise to cloud, you’ll feel right at ease knowing you’re completely future proof. We'll prepare your IT infrastructure at all stages to ensure production readiness. Why a technology agnostic Cloud-enablement service? We aim to use the best tool for the job. Every time. Using a technology agnostic approach to cloud enablement ensures that we offer insights that no other technical coach can. Being cloud agnostic means we’re not married to any specific vendor or technology. This enables our technical coaches, release engineers and build masters to provide the best possible solution for YOU. All our cloud engineers are highly skilled at at least one specific cloud service, and we have regular learning sessions in place that enable knowledge sharing amongst all Pointers. So we’ll always be ready to offer the best advice possible. With all our implementation suggestions during our technical coaching, we’ll consider the move to a cloud infrastructure as easy as merely pressing a button. You’ll feel at ease that all this preparation comes as a given. We live and breath DevOps and we evangelise the move to cloud-native solutions with a hellish passion.